Typically, every year I host an East Egg hunt for my family. Seeing how Michael is a teenager now. He still participates even though he tries to pretend that he's too old. Easter egg hunts are one of m favorite events to plan. I love seeing the kids faces when they find the golden egg. 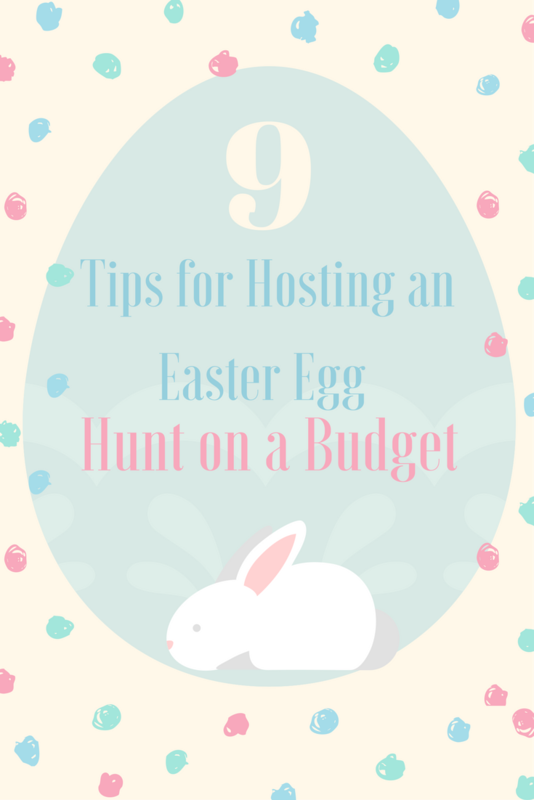 Below I'm sharing my favorite tips to plan the ultimate Easter Egg hunt on a budget. I like to create a budget prior to the event and stick to the budget. I also like to use Apple Number to track my budget to ensure that I'm not going over. Create a budget based on an amount that you feel comfortable with. For parents who have never participated in an easter egg hunt, this is very important. You can create an agenda to email or text to everyone attending the event. Make sure to ask everyone to RSVP beforehand to ensure that your purchase enough eggs and prizes for the kiddos. Honestly, this is totally up to the person that's planning the event. I typically always have extra Easter baskets on hand for parents that forget. I also offer bags just in case things start to overflow. I try my best to take a group photo prior to the event starting. Once the event starts it's very easy for kids to be kids and start to get dirt and grass stains all over their clothing. I try my best to get pictures of the entire event and send it to the families once the event is over. Easter Egg Hunts make for great family memories. Let the children know the order of the event. Remind them of no running and the areas that do not have prizes in it. You can easily block of an area of your backyard that does not have prizes in them to avoid children wasting their time in that area. (I like to use steamer) Also, this is good if you have a large back yard or a wooded area. No point in having the tweens looking in that area. Per your schedule, all children should not go at the same time. We really do not have any babies in our family. However, if we did I would allow the parents to go with the babies first. I next would allow the toddlers to go and at this point, I'm sure the other children are anxious to go. If possible while the other children are waiting you can create an activity table or snack table for them. I love to offer egg coloring or coloring books. You can also offer a make your own snack bar. This area is great for the children who are getting ready to look for eggs and are already done. I prefer to add really visible eggs for the smaller children. I really don't go too crazy with finding creative places. The purpose of this event is for the kiddos to have fun. What great ideas! I don't think I've ever hosted an egg hunt. I usually just do one for my kids. I do the same as you though: I buy eggs cheap at Target when they go on clearance! This looks like so much fun! We don't actually have kids of our own, but I do an easter egg hunt in my classroom every year. I can take some of these tips and apply it to my classroom's egg hunt! I"m sure Amazon would have those plastic eggs super cheap, too! There's nothing worse than when party supplies blow your budget. Yay. Easter is my favorite holiday. I love this idea. We do a lot of community egg hunts too. The kids have so much fun and it lasts for hours. Woow! This is a great, step by step, instruction how to host an Easter Egg hunt. I have never hosted one, since, in my home country, we do not have events like that. I love how organized you are, and such a great idea to organize a creative activities for the kids till they are waiting for they turn. Love all the ideas! Very great post. Easter will be here before we know it. One of my good friend's mother always host the Easter Egg Hunt and I enjoy it because it's not just for the children. These are great ideas for trying to do a relatively inexpensive Easter egg hunt. I wish I were good at this. I'm just not very good at keeping to budget for doing it. This is such a great idea. Definitely going to remember this. Thank you for sharing. These are really good tips and I cannot wait to try some of them. Thanks for sharing. I commend you for planning preparing participating, etc in such an event. I have attended some in the past but have never planned one. This is great information.